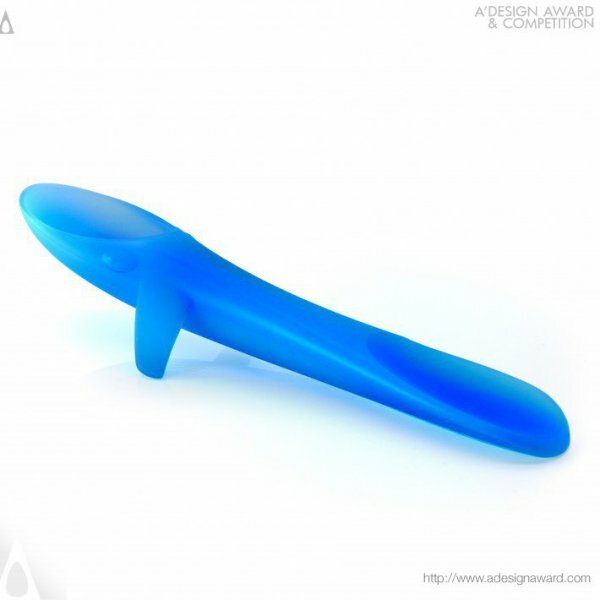 Roberto Stein got the inspiration for the Whale Spoon from 1.5 year old daughter of the designer. The normal spoons would result in spillage when they are tilted and the designer wanted to create an ideal spoon for the first self-feeding of soups for the babies. Whale Spoon sure can help the parents within the first stages of self-feeding as its special cavity prevents the spillage caused by the tilting movement and the soft material makes it easy for the babies to withdraw all the food on the spoon. It’s easy to hold as it is shaped perfectly for small hands and the soft material body makes it safe for the gum and the face, and also makes it a perfect teether for the babies. Michael Samuel created the Koji Pushchair to satisfy the need of active parents who enjoys travelling with their child. Michael realised the difficulty of finding a reasonably priced, compact, folding and lightweight pushchair for the parents and decided to aim for this need. Koji Pushchair is the little yet large pushchair designed to be compact and lightweight, making it suitable for the city life. 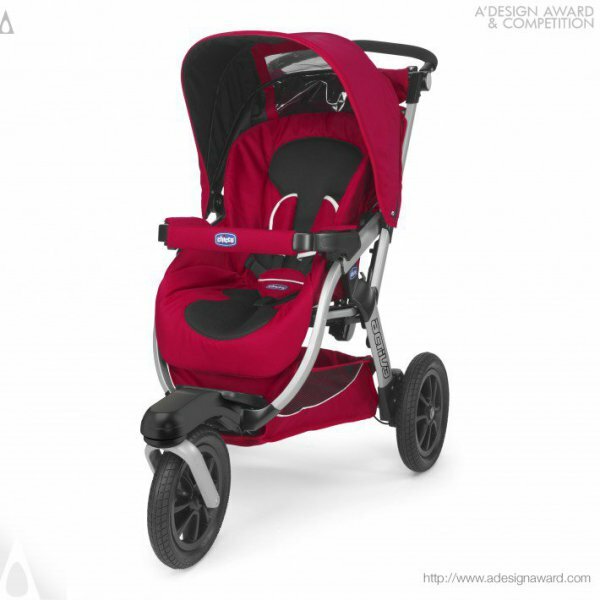 Its customisable parts (two chassis colours and five accessory pack colours) allows parents to fully customise the pushchair to fit their style. 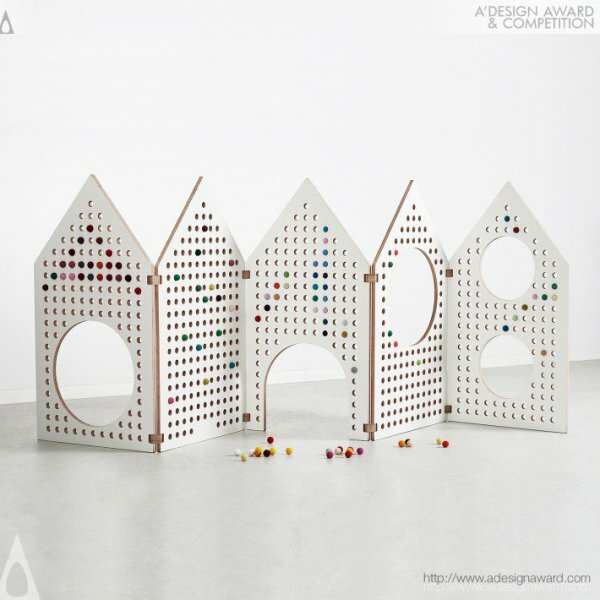 Little Houses is a sensory play space divider created to be a part of the creative children’s play environment. It was inspired from the children who tries to create their own space within their home with blankets and chairs. With Little House, children can create their own environment and create activity zones in any child-centred setting. Little House is modular and comes with 5 modular panel with big and small holes. These holes are for the imagination of the children, they can serve as windows or doors and help develop sensory skills, fine motor skills communication skills, and self-expression skills. Little Nest is a Cradle, designed by Oszkar Vagi, that will simulate the gentle care that babies experiences prior to their birth. 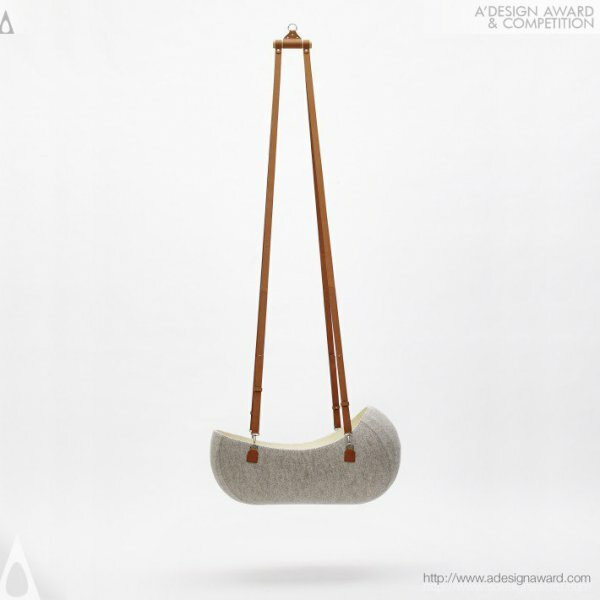 Little Nest aims to comfort the baby and acts as a protective shell taking care of the baby during the peaceful rest. The cradle once hanged, reacts to the motion of the baby and sways the baby gently which created the similar stimulation of a rocking motion that baby is already familiar prior to its birth. All natural materials and handmade quality ensures a safe environment for the child to have the best rest. 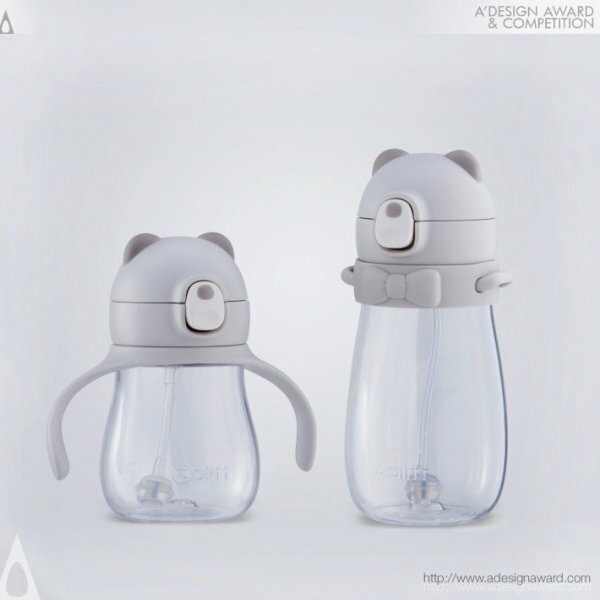 Senso Design created the Little Bear Straw Water Bottle to create a fun, comfortable and safe water drinking experience for the child and the parents. Its unique structure prevents the water from splashing with the button integration. When pushed to the button, the pressure of the cup will be released and therefore splashing would be avoided. If the button is loosen further, the lid can be opened completely for all the parts of the cup to be disassembled for the parents to clean and sterilise each component. 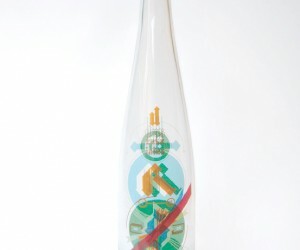 Little Bear Straw Water Bottle aims to overcome the parents’ negative perception against straw water bottles by optimising the problematic points and taking an innovative approach. Charlotte Friis rethinks the experience of drawing and created The Children Papers Chair as a drawing chair for children. Friis created this particular piece not only for its functional and decorative qualities it brings to the play room, but also to serve as a memory collection device. It can be used by kids between the ages of three to eight. It can store their drawings on 400 meters of paper for a period of approximately five years. 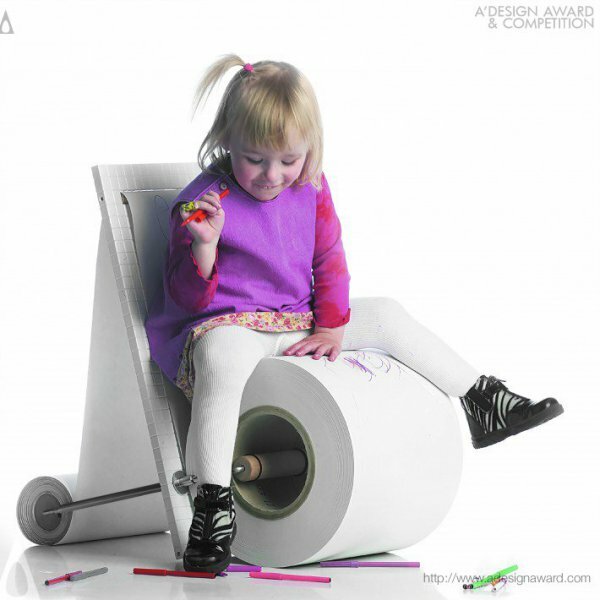 The kids can use the chair standing facing the back support using it as a drawing board or the other way around, just drawing on the paper roll. 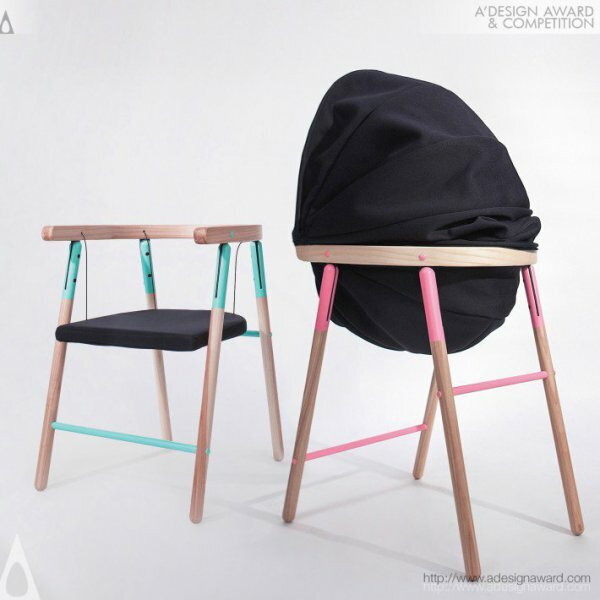 The chair becomes a fun and interactive space in itself. 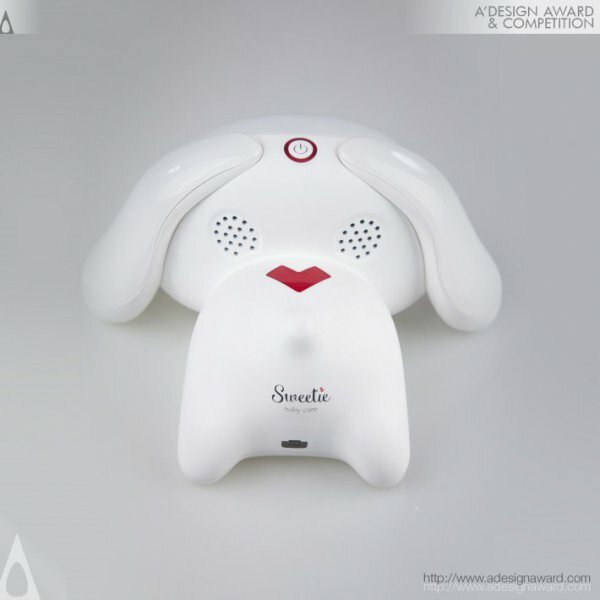 Designed by Zhenwie You and Weining Xiao, Sweetie Baby Care is a product developed to aid sleeping behaviour of the baby. It is designed to help parents encourage their children to sleep and take care of children when they are sleeping. Sweetie can provide different spectrum of lights and sounds to ensure a comfortable sleeping environment to the baby, for the baby to sleep quickly and wake up naturally. Sweetie includes a sensor to monitor the safety of the child so the parents can keep track of the state of their baby. The App specially designed for Sweetie allows parents to control and keep track of the situation, make report of the day/week/month. Kin Cheung created the Pilo Mini Music Pillow to address the difficulties the parents have when it’s time for the children to sleep; children are not satisfied with listening to the same stories. Pilo Mini comes with an integrated built-in sound units that are invisible and imperceptible and they work without external power source to create a gentle whispering sound field for the kids to enjoy bedtime stories of music via any audio interface. 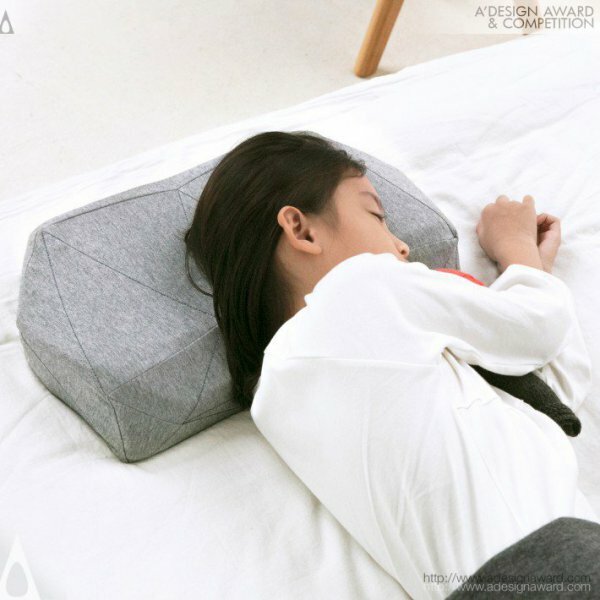 The pillow is ergonomically designed for children and the low-poly structure outlines a suitable curve that follows the contours of head, neck and shoulder to create a comfortable and healthy sleeping environment for the child. 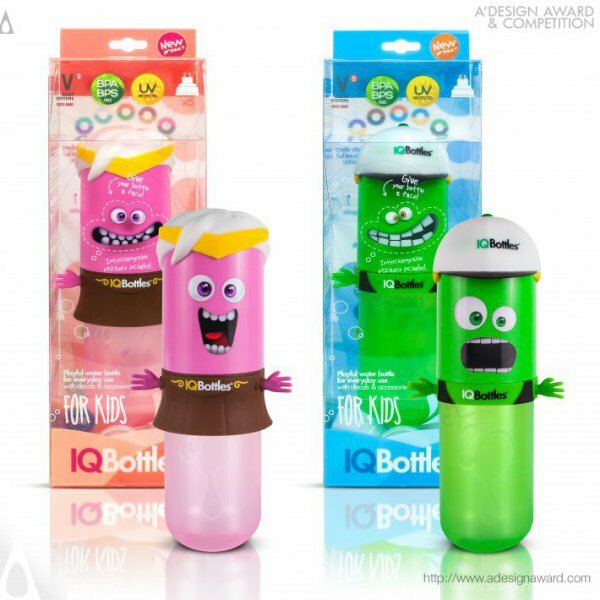 IQBottles, designed by Peter Hanuska and Miroslav Pavelka, are reusable water bottles that are original, good looking, healthy, leak proof and attractive for the kids. The bottles come with different parts like hats, skirt, hair, etc. and all these components are interchangeable among each other so the children can play with the bottles and exchange parts to create the bottles they like. Different additional sets are prepared to enrich the fun: superheroes, jobs, animals, interests, etc. The product can be sterilized easily either in the washing machine or in the boiling water and the sports cap ensure the hygienic drinking. Sunon Design team created the Haha Learning Desk and Chair for Kids to help kids develop good habits. It has multiple functions like rectifying sitting posture, preventing short-sightedness. Lifting functions provides a comfortable height for kids and the rotatable tablet can be suitable for various sitting posture. The flower functional button has rough outlines to make it easier for kids to operate. Haha chair applies memory foam backrests to protect kids’ spines. It can be locked with one button. PU upholstery armrest is wear-resistant and dirt-proof with more comfort. 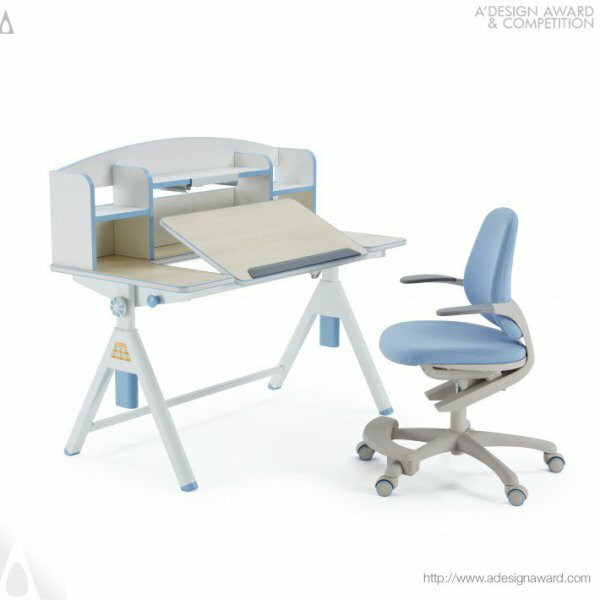 This multifunctional desk and chair can help the kids have a comfortable environment of their own. Feeding the children is not always the easiest task: children making noise by beating their cutlery to their plate or breaking their bowl during the meal, etc. 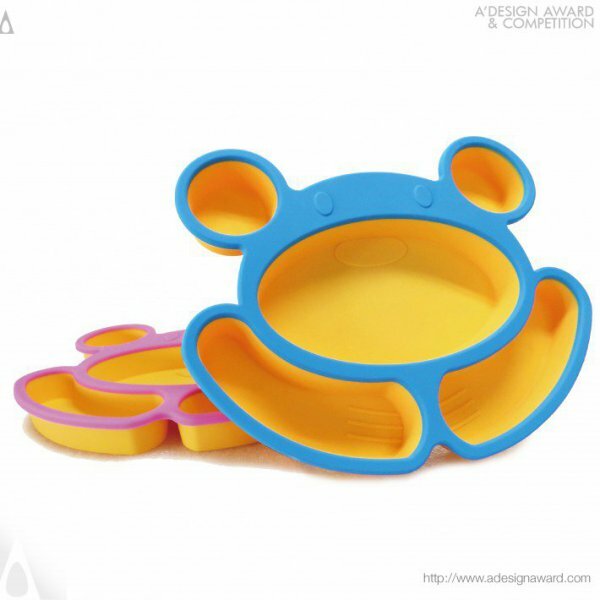 ChungSheng Chen got inspiration from the problems arising in feeding moments and developed the Happy Bear Silicone Meal Plate. Happy Bear is safe, durable and easy to clean, especially designed for young kids and their parents. The Happy Bear serves as a plate with a lovely animal expression to keep the child concentrated on the meal, and it can also serve as a baking mould for the parents to create lovely chocolates, cakes or breads. 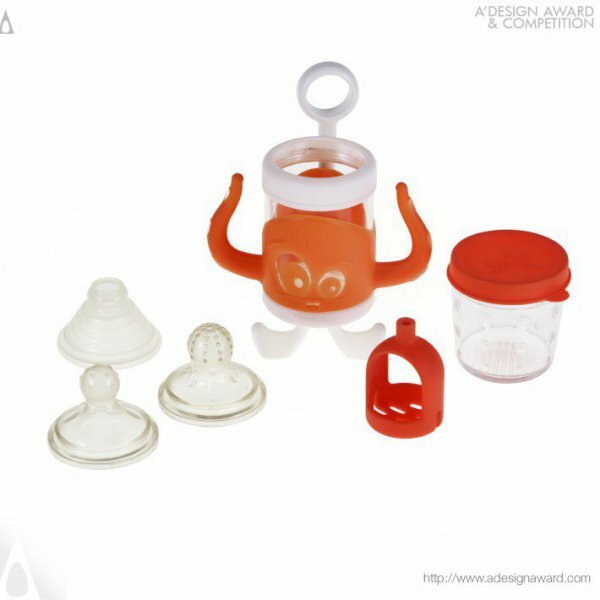 Otto the Octopus is the first complete feeding system for weaning a baby, designed by Eleonora Fois. It has been specially designed to accompany a child through all stages of weaning. A range of adjustable spouts have been created to grow with the child’s confidence with food textures. The unique octopus design is loved by toddlers, who enjoy the independence of being able to feed themselves when feeding from a spoon is difficult. 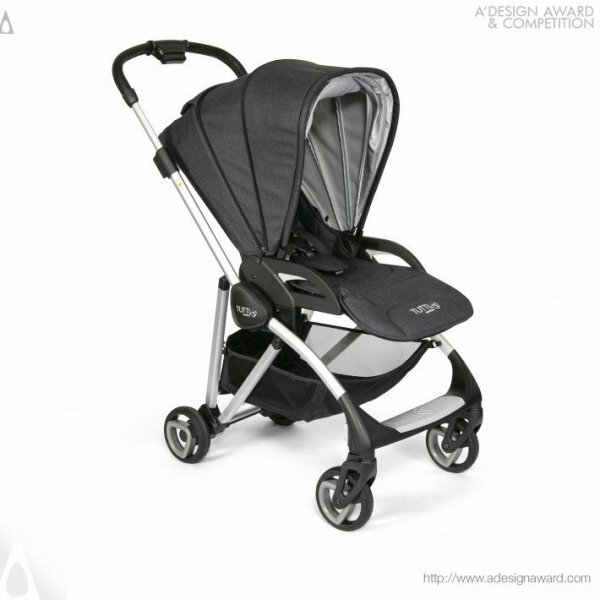 Otto is versatile and can cope with both fresh foods, cooked foods and liquids. Pixio is a Magnetic Construction Set designed by Ivan Khalus and Oleh Berezovskyi to create a constriction set that is different from what is already in the market, to look perfect and to offer maximum versatility. The blocks can flexibly be assembled thanks to the system of powerful magnets integrated. 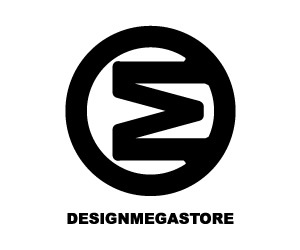 IT is easy to use and it is appealing to anyone who loves creativity, technology, design and games, not only for children but also for adults. Each set is supplied with an APP to guide the users about the possibilities of creations and get the creative fluids flowing. 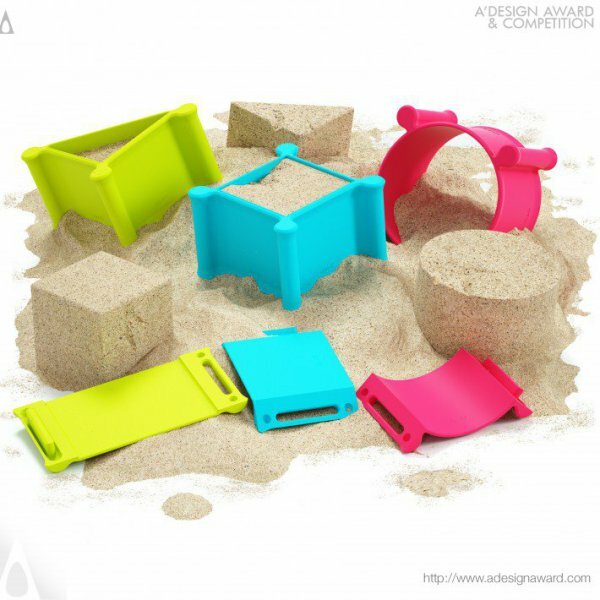 Kebrick is a sand construction set for children, designed by id.real. 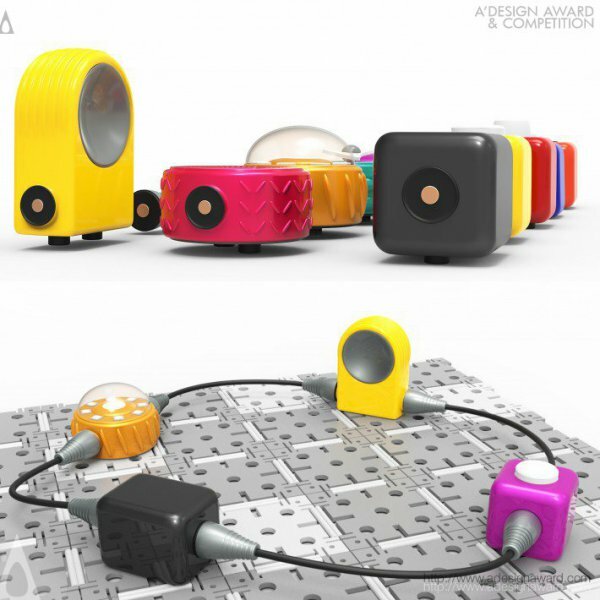 Kebrick redefines beach and snow toys with basic connectable pieces that will further boost the children’s creativity beyond building sand castles with already defined shapes. Kebrick allows the children to create the mould he/she desires to create the structure he/she wants. The children can freely build the three basic geometric shapes, triangle, square and circle with the moulds to any shapes their creativity craves. The individual shapes fit nicely together, for place saving storage. Wai Sum Tsang focused on the parent-children relations in today’s metropolitan world and wanted to create a tool for interaction between the parent and the children that will not involve electronic devices. 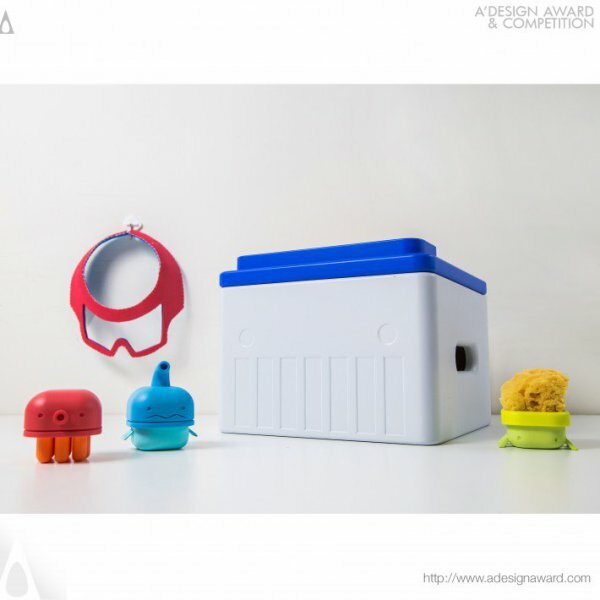 Wai Sum Tsang created the SplashBuddy Bathing Kit as an educational toy to foster the parent-child interaction through the amusing experience created during bath time. It comes with 5 components that encourages the bathing procedures which will help the young children to develop self-care ability and share a joyful moment of stories with parents to create a bonding experience. Klikko Life Electronic Blocks are designed by Miao Ke, Cai Huixian and He Yimin to help young children learn basic electronic knowledge. There are base modules, functional modules, wires and Klikko blocks. Adult could lead children to connect blocks with wires in right way, let them understand the basic circuit principle vividly. Mature Blocks can make more magical and practical things with the help of adults which will create an educational experience for the children and a fun moment shared with the parents. Klikko Life is a toy that will help children to be a learner, maker and creator. 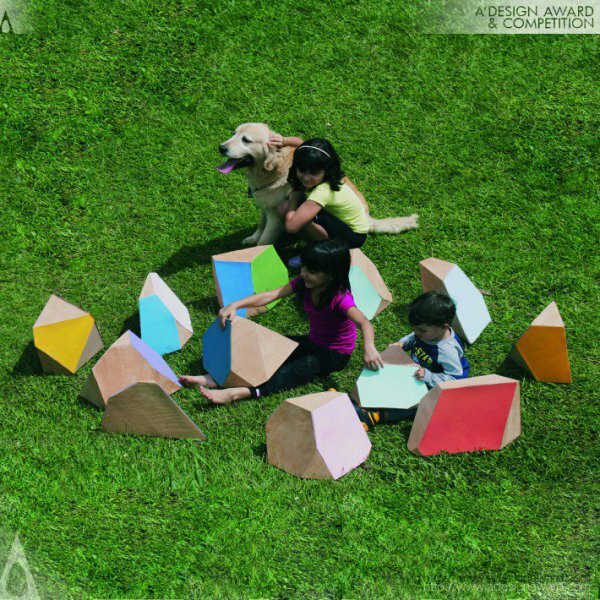 Priscila Busato created Quebra-Pedra Puzzle 3D to encourage the children for self-discovery, the sense of adventure and exploration of the inner self and the environment. Strategically manipulated pieces creates a 3D puzzle shape which requires for the kid to get involved mentally and physically in the solving process. In order to guide the construction, each stone-like shape has two designated coloured faces, corresponding to its similarly assigned counterpart. Quebra-Pedra is a solution that connects educational prospects through logical-mathematical reasoning and helps motor skill development in children. S. Lepuschitz, Y. Zheng and Z. Liao created the Careful Labyrinth as a modern interpretation of a traditional game to create a game that will survive in today’s world of multimedia equipment’s. 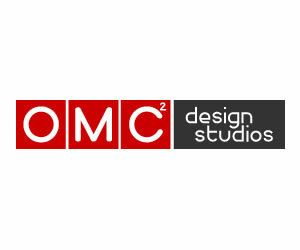 By enhancing the characteristic of the traditional game, the team created a flexible and multiplayer toy that will integrate the player visually and physically. 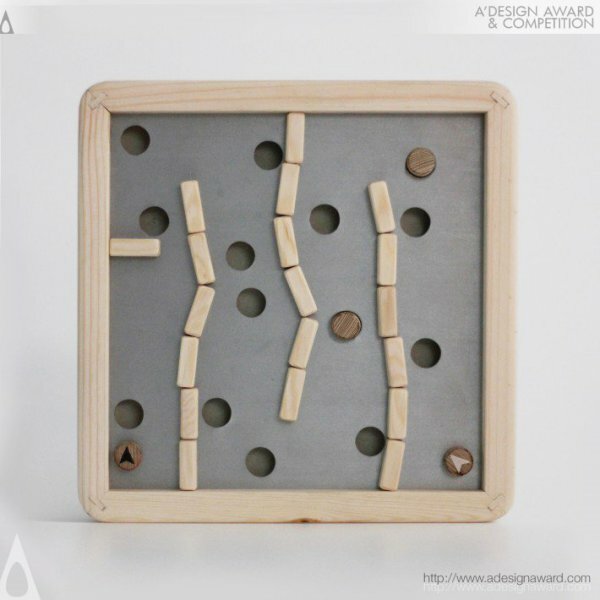 The players can create the labyrinth they want using the magnetic pieces and create challenges for themselves and for other players. The purpose of the game is to control the balance, to guide the small ball from the start point to the end point, avoiding all the traps therefore comes the name “Careful” as the player needs to be careful and make sure the tilt the stage right enough to lead the small ball to the right path. 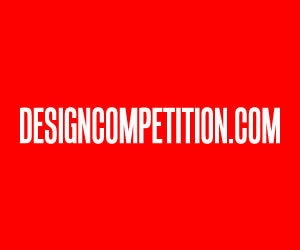 Today we have listed the 20 creative product designs for Baby, Kids and Children from the winners of A’ Design Award and Competition. We hope you enjoyed going through our list and got your creative fluids flowing! If you wish to learn more about these designs, make sure you click to the related links listed below. 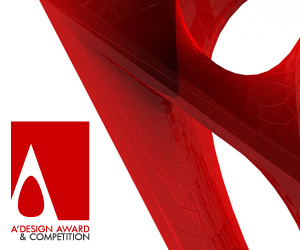 If you wish to check out more Award Winning designs like this or you wish to become one of A’ Design Award & Competition winners, make sure you check adesignaward.com! 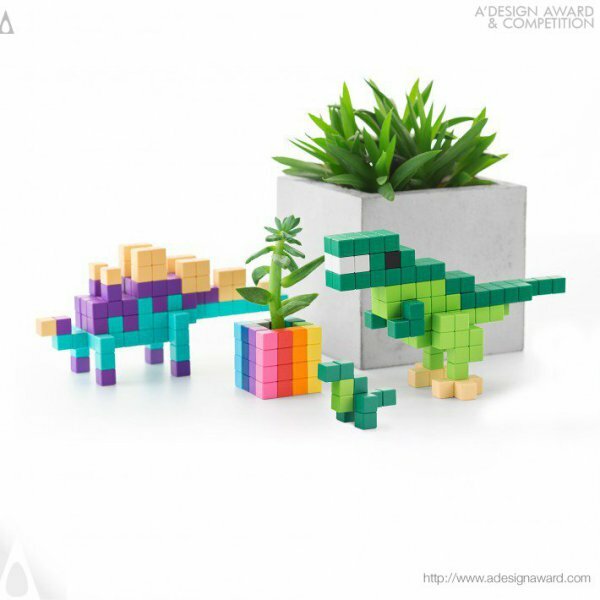 This article was added on Wednesday, 5th of December, 2018 at 09.17 am by author Frank Scott Tags: Baby, Kids, Children, Product, Design, Creative, Award winning, Baby, Kids and Children Product Designs, Toy, Games and Hobby Products Design. Read our copyright policy here.